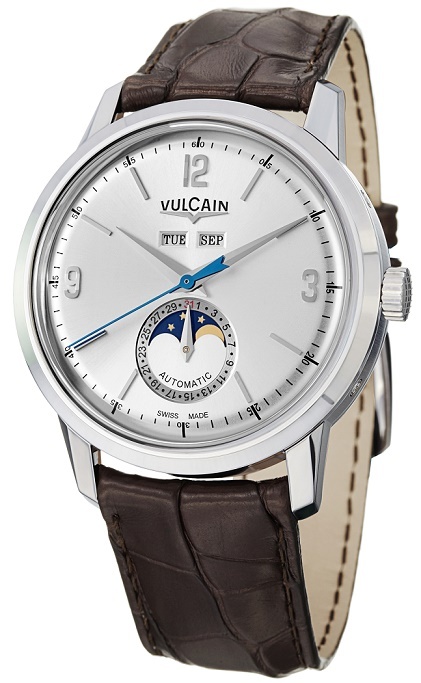 Beautiful, 42mm polished stainless case, silver color dial, with Day, Date, and Moon Phase indicator, and automatic movement. It features a see through, exhibition glass back. Available on elegant leather strap with regular pin buckle. Price $6650.